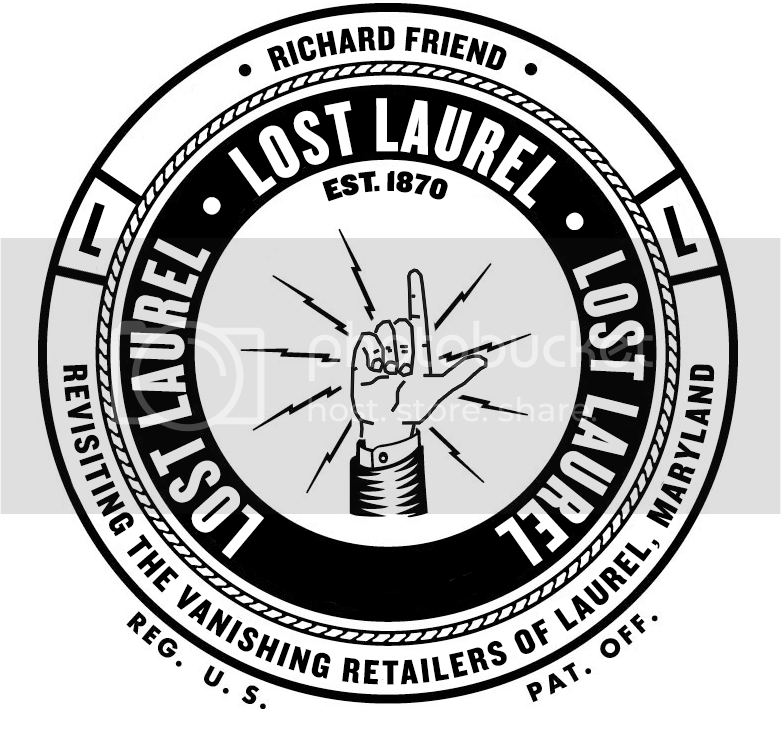 For several weeks, I tried to track down any copies of vintage Laurel Centre Mall and/or Laurel Shopping Center directories, in hopes of documenting exactly which stores inhabited the spaces throughout the years. There’d been nothing of the sort online; and attempts to get any information from Laurel city officials, as well as current property managers, was like pulling teeth. Maybe worse—at least something is actually accomplished by pulling teeth, but I digress. I suddenly had an epiphany. The Laurel Library, where I’d worked throughout high school and college as a clerical aide, might have something. I remembered an obscure publication that the Laurel Area Chamber of Commerce used to publish annually (I’m not sure if they still do, as my messages weren’t returned. Like pulling teeth, remember? )—a Community Guide, rich with contemporary ads and phone numbers of local merchants. As I haven’t lived in Laurel for quite some time now, I hadn’t been back to the library in probably a decade or more. This was worth the trip. 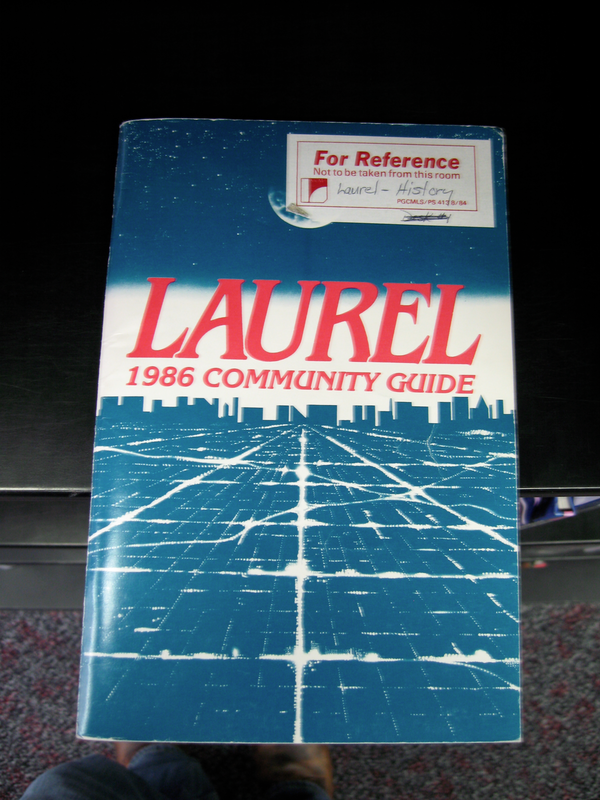 Sure enough, they did indeed still have a number of old Laurel Community Guides—dating all the way back to the late 1970s. I eagerly photographed hundreds of pages, before finally hitting the jackpot. 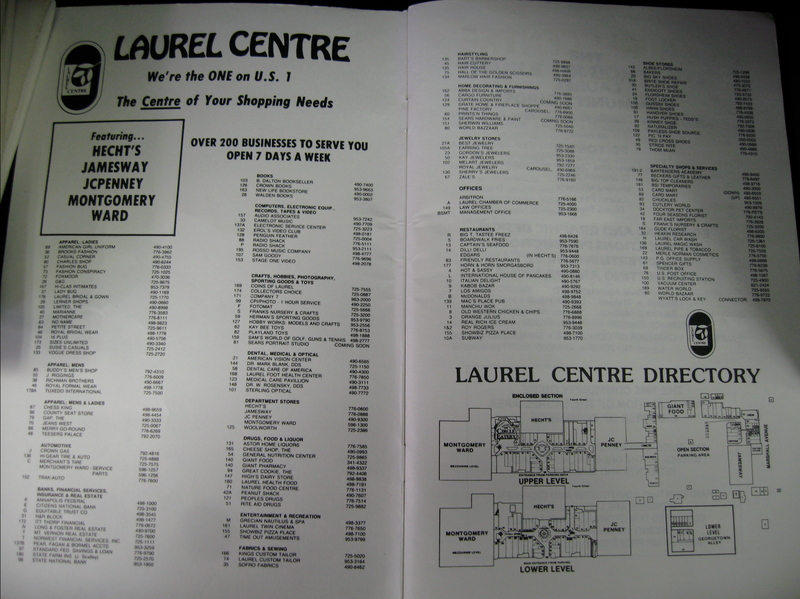 There, on the inside cover spread of the 1986 edition was what I’d been looking for—a complete directory of both Laurel Centre and Laurel Shopping Center. Not only a listing of the stores and their phone numbers, as had been in several of the other guides, but an architectural key as well. Finally, I could begin to definitively show where each store had once been located. And of all the years to start with, 1986 was perfect—because it was exactly “The Mall” as I remembered it most, walking daily to open lunch as a freshman at Laurel High School. As I pored over the listings, there were a number of places I didn’t remember, however. Sofro Fabrics? What was that? Playland Toys? I only recalled Kay-Bee. Likewise, there were a number of apparent typos—some shops were listed twice with different numbers; some numbers (like “189”) appear in the directory twice, while others (like “15”) are mysteriously absent altogether. Some shops were split into two, resulting in “A” and “B” suffixes. However, some stores have been assigned an “A” without having been split at all. And then there are the phone numbers. Of course, you’ll notice that there were no area codes listed in 1986—but suffice it to say, these were all area code 301. I doubt very seriously if the phone number of Pic ‘N Pay Shoes really was “000-0000”, but that’s what was printed in the directory. With all due respect, I wonder if perhaps whomever originally designed these pages may have spent a bit too much time at Astor Home Liquors (#131 on your directory). 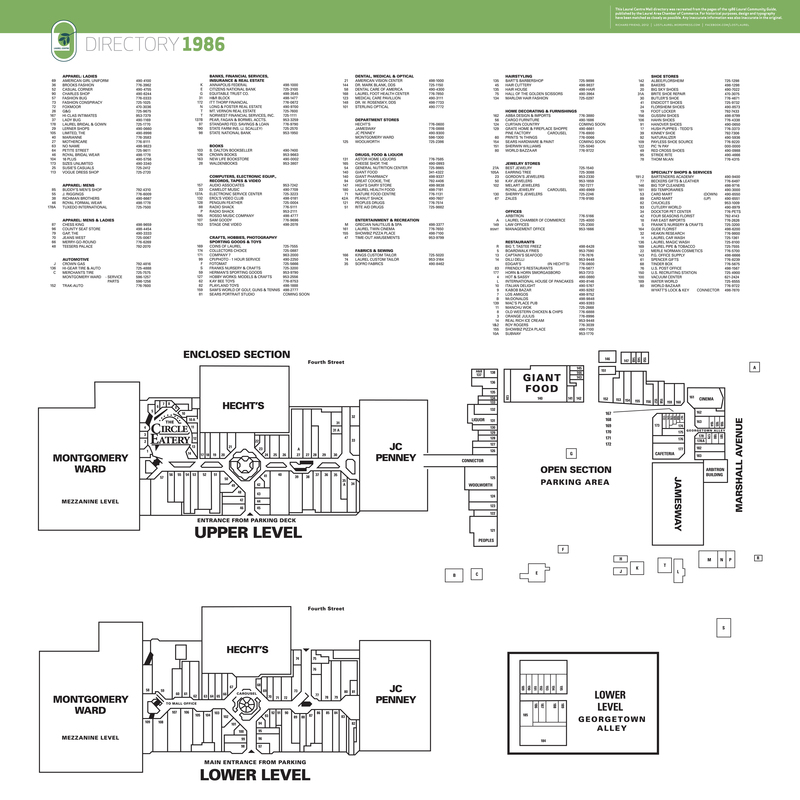 Because of the small size and poor quality of the printed directory, I decided to redraw the entire thing—flaws and all. You can click on the top image to see a larger version, or download the full-sized PDF below, and explore 1986’s Laurel Mall to your heart’s content. I’m sure you’ll find your way.